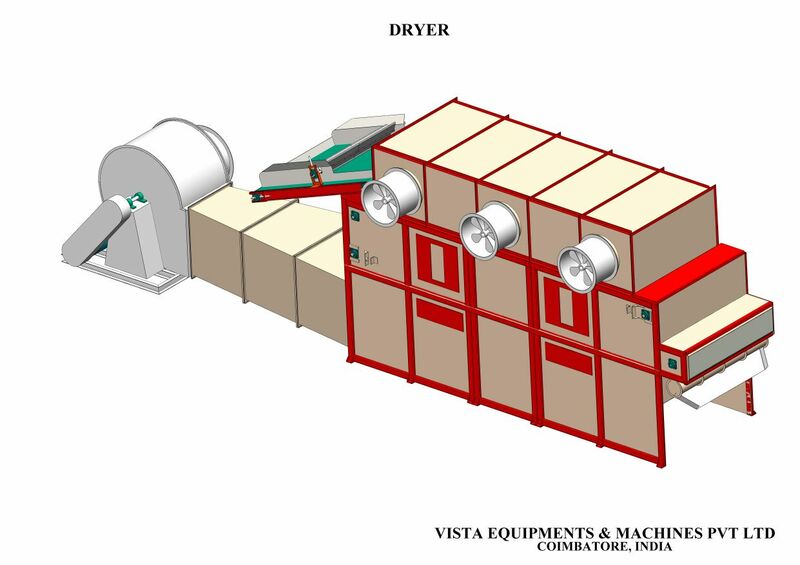 VISTA’s Combination driers have been specially designed for very high outputs at medium to moderately high hot air temperatures, making optimum use of both power and fuel. The material to be dried travels on multiple perforated tray circuits before entering the fluidization zone. Stainless steel slotted plates / wedge wire screens together with an agitator mechanism or a sweeping arrangement ensure proper and uniform fluidization, till the moisture content is brought down to the desired levels. Spices, Sesame seeds, Psyllium seeds, Soya flakes, Desiccated coconut, Ragi, Oil seeds, Spent waste after solvent extraction and other powdery products etc.